The following is information cbm Canada requires from the Executor(s) in order to demonstrate to third-parties, such as its external auditor, that the full wishes of the deceased have been carried out according to their Last Will and Testament. A copy of the Notice of Application for Certificate of Appointment of Estate Trustee with a Will or Letters Probate. A copy of the pertinent portion of the Will where cbm Canada is listed to receive the specific bequest. A copy of the entire Will. A copy of the List of Assets and their value at date of death. A copy of Executor’s interim and final accounting of receipts and disbursements for revenue accounts and capital accounts. cbm Canada will ask for the request to vary the Will to be submitted by the Executor(s) in writing along with a copy of any background documentation that the Executor(s) may have. cbm Canada will forward the estate file to cbm Canada’s legal counsel who will review the file and advise cbm Canada on next steps. cbm Canada’s lawyer will communicate either directly to the Executor(s) or to the legal counsel for the estate. “I don’t think I was prepared for what I was going to see,” said Glen Jackson. 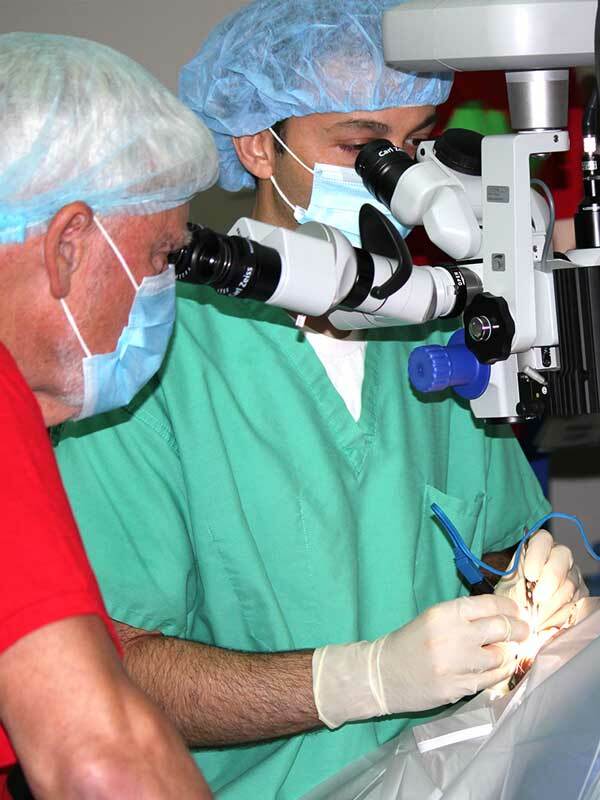 He was referring to his visit to Swaziland where he witnessed sight-restoring eye surgeries. 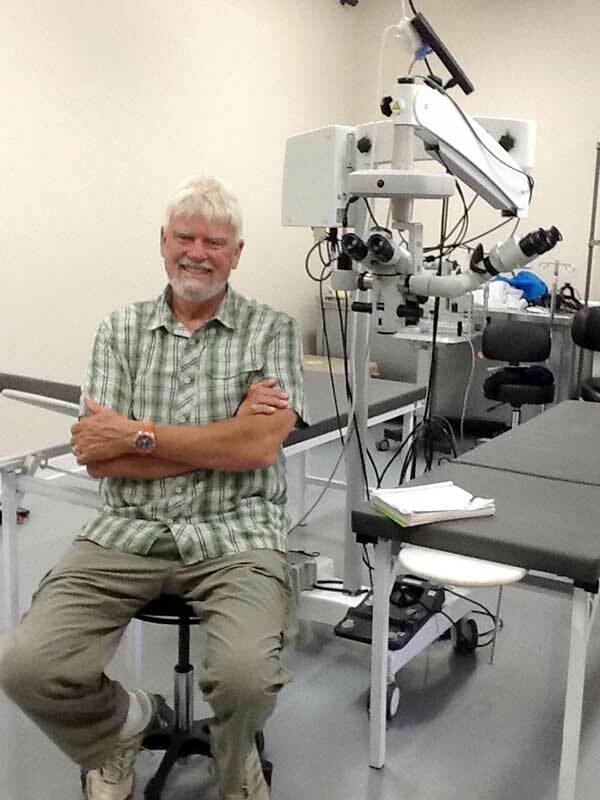 Glen Jackson’s late brother, Bob, had given a gift in his Will that was used to purchase an ophthalmic microscope for The Luke Commission. “The ophthalmic microscope is an incredible machine. It’s a large microscope which allows a surgeon–an eye surgeon–to visualize the tiny little eye and operate on these eyes. “When I was in Swaziland, there were 135 blind people lined up for the week and each day they’d do about 20 or 25 cataract surgeries. They also did a corneal transplant, [repaired] a few lacerations. And these people who had been blind, often for years, lined up the next day to have their bandages removed. “You have never, in your life, ever seen such joy in anyone. In their smiles, in their dancing, in their singing hymns and praising God. It was such a tremendous experience for me,” said Glen. Although Bob and Glen grew up in a modest home, they were taught the importance of giving back. Their parents lived through the Depression. Glen remembers stories his mother told. Her family wasn’t affluent, but his grandfather had a job. His mother said they always had a pot of soup on the stove because there were so many homeless people looking for food. Glen said of his mother, ”She could cook a hotdog in more ways than anyone, and we thought we were having a different meal every night. Once things looked up, his father set up the O’Brien-Jackson Family Foundation that donated to charities of the family’s choice. Glen went to a Catholic school right through to high school. “I had wonderful teachers who were nuns and … it seemed to me they donated their whole lives to helping others. My uncle, the priest… he died recently… on his tombstone I put, ‘A life of giving’. “So in my life… I’m truly blessed. When I look at the people around me, my parents, my grandparents, my aunts and uncles… I was surrounded with people who gave.